Tired of sit-and-get PD where all you get is boredom? Breakout of the norm with Escape PD! Escape PD by Breakout EDU is a collection of engaging games that promise to have your participants up on their feet, working together, providing a team building experience that will leave your audience smiling and begging for more. You are stuck in PD with self-proclaimed guru, Brad Jepsen. You and your team must work together to escape the most horribly boring PD before it’s too late. You have shown up late for your interview with a doctor who claims he can turn back the hands of time. Now you will need to wait like everyone else. 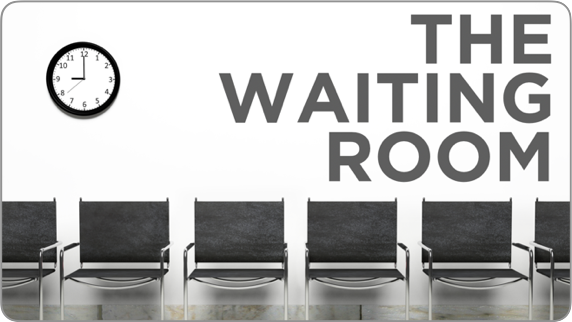 Can you escape the Waiting Room? As the final resident of a remote island in the Sea of Japan, you must solve the mystery of a box left by her late husband. Can you find the answers to unlock this mystery? The bad news is that the Superintendent has locked up the end of your meeting agenda. The good news is that they have agreed to release you early if you can break it out of the box. Your principal has just won the lottery and called out rich. The staff is now on their own to help successfully run the school. The keys to a great year have been locked away. 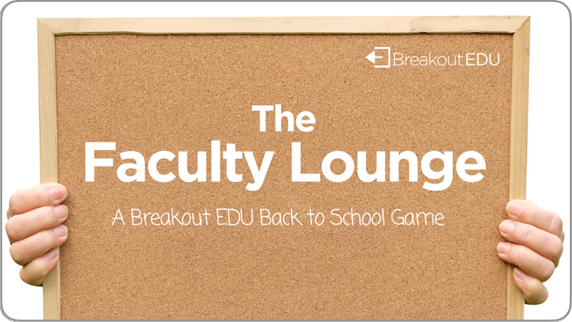 Can you Breakout and save the school year? It’s the annual faculty party at your school. Will you be able to solve the fun staff games and Breakout before the vacation kicks in? You have traveled back in time to the radical 1980s and find yourself locked in a school computer lab. Can you find the keys to get back to the present day? 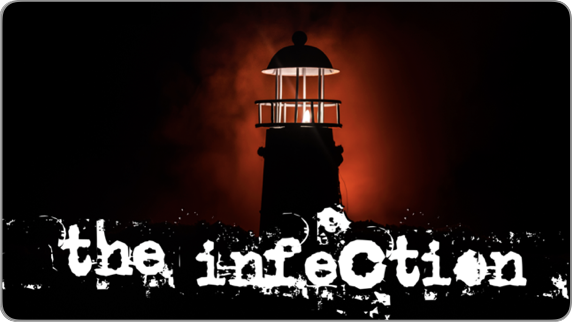 The infection is spreading and only you and your team can help solve the mystery and stop of the spread of the disease before it is too late. Dr. Johnson has plans to unleash a deadly airborne virus that would turn anyone who came into contact with it into a zombie. There is a cure - but can you find it in time? It is the 1950s and we have a situation. There is a spy sharing secrets and they must be caught and stopped. Can you stop the spy before they share more top secret intel.. In Time Warp, players are lost in time and have to navigate the history of communication in order to escape. When twins discover that their scientist parents have gone missing, they need your help to bring their parents back from the time warp they have been caught in. In Lost in Time: Is the Future Ready? you must help steer the schools of today but to do so you must first help them find the Future Ready Framework to make this possible. In the 1950s students used lockboxes for lockers and traveled to classes with them. The local high school in Cincinnati, Ohio found this unopened locker that appears to be at least 60 years old, and they have sent it to us to see if we can help them figure out to whom it belongs. Are you ready for an adventure? In northeastern Nebraska you’ll find the small town of Monowi. 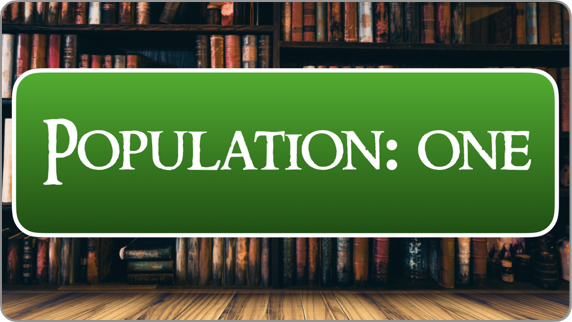 It’s the only town in the United States with an official population of one. Because there are no other residents paying taxes, the library is in trouble. Can you help save the library? 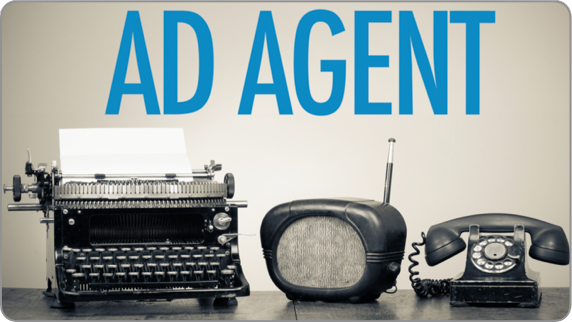 Learning is social, so why shouldn’t social media be a part of the process? 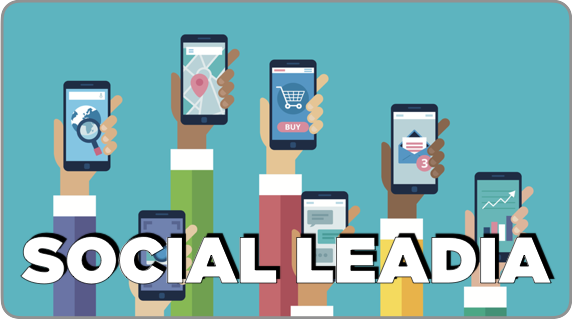 Many people foresee only problems when they think of kids navigating the digital world, but in this game based on Jennifer Casa-Todd’s book Social LEADia, we help explore how students can use Social Media for good. 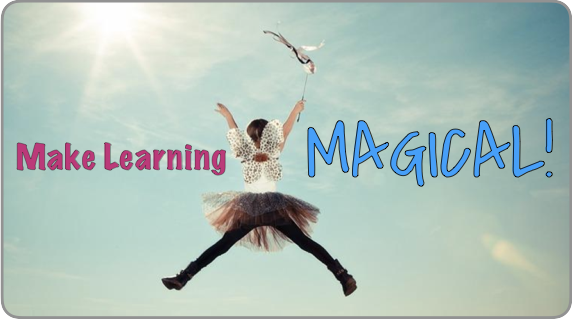 Based on the book, Make Learning Magical, this game explores the creative passions that can make learning just that! Interested in having us create and run a custom event? Fill out this form and let us know how we can unlock the fun at your event!